The move comes at a time when many prominent British people of Muslim faith have come out and condemned the heinous terror attacks. 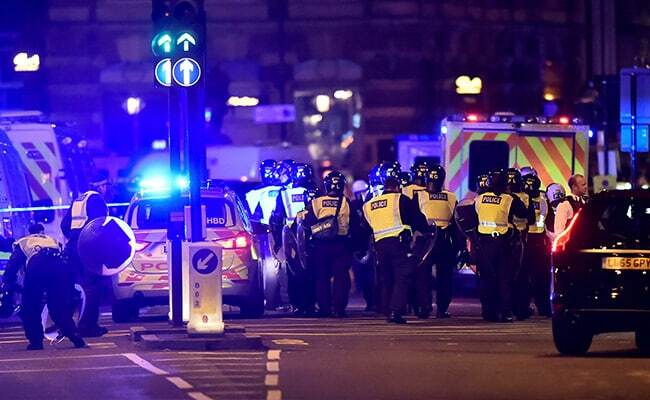 London: Over 130 Islamic leaders and clerics across the United Kingdom have issued a public statement condemning the recent terror attack in London and further, refused to perform the last rites of the attackers. The clerics also called on others to do so and stated that the attackers' "indefensible actions" were completely at odds with the teachings of Islam. "Consequently, and in light of other such ethical principles which are quintessential to Islam, we will not perform the traditional Islamic funeral prayer over the perpetrators and we urge fellow imams and religious authorities to withdraw such a privilege," read a statement by clerics and top Islamic leaders of the UK. "This is because such indefensible actions are completely at odds with the lofty teachings of Islam," the statement added. Three men rammed a van through crowds of pedestrians on London Bridge on Saturday and attacked revellers with knives, leaving seven people dead and 48 injured. The attackers were subsequently neutralised by security personnel. A day later, ISIS took responsibility of the attack. The statement issued by the clerics comes at a time when many prominent British people of Muslim faith have come out and condemned the heinous terror attacks. The Metropolitan Police's highest ranking Muslim official, Mak Chisty, who called for "a different direction and a different movement to counter the scourge of terrorism, extremism and hatred". The Muslim Council of Britain also expressed their anger over the London Bridge incident. "We want to do something about it... We agree with the Prime Minister (Theresa May)_that things must change. Enough is enough," said the Counil's secretary-general Harun Khan. The sentiment by clerics and top Islamic leaders was also echoed by London mayor Sadiq Khan today who sent a strong message to the terrorists. "As a proud and patriotic British Muslim, I say this: You do not commit these disgusting acts in my name," said Mr Khan, who was elected London's first Muslim mayor last year. "Your perverse ideology has nothing to do with the true values of Islam," he added.